Can Embracing Diversity & Inclusion Help Stop the Violence? There are many voices far more eloquent than mine that will weigh in in the coming days on the all-too-familiar horror and sadness of waking up for the third time in as many days to the news of senseless violence. I say senseless because as an expression of rage it only fuels the power and racial divides. I forced myself to watch the videos. And I am struck and cannot forget the similarity. 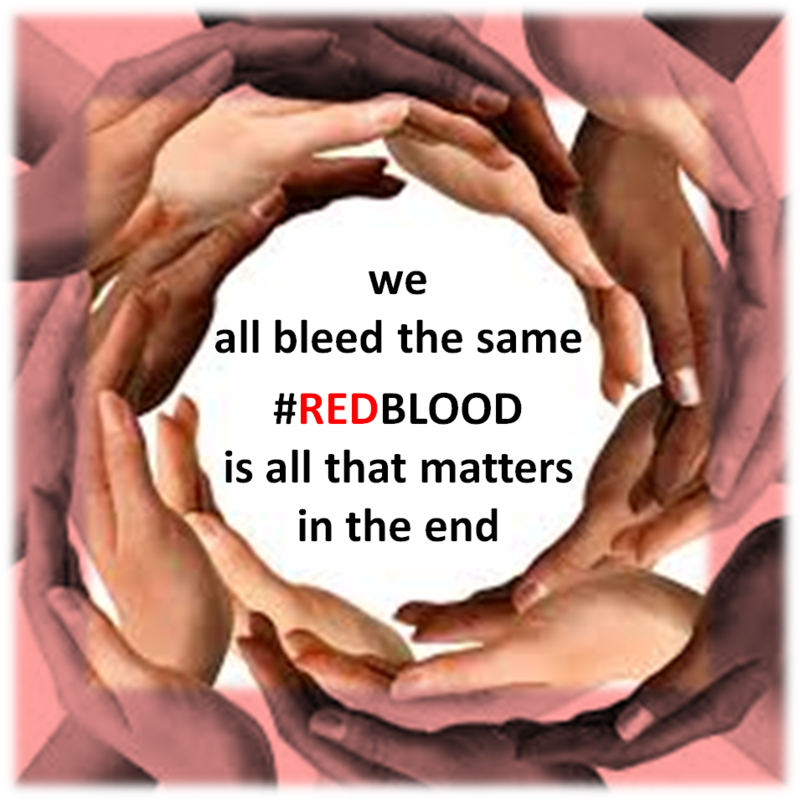 Whether on a white t-shirt or a blue uniform we all bleed the same red color. With no disrespect for other similar statements ‪#‎redbloodmatters. Travel writer and television host Rick Steves talks about how getting to know other people and cultures is antithetical to hatred and therefore violence. How do we apply this in our everyday lives? As someone who writes about corporate responsibility, I find myself wondering what businesses can do to stem the tide of anger, fear and resentment that have become so prevalent. How can the principles of corporate responsibility be brought to bear? I'm not talking (only) about those who manufacture things that can be used as weapons, but perhaps those businesses that focus on diversity and inclusion serve as an example. What if ALL businesses were to focus on breaking down barriers within their work forces between generations, genders, sexual orientation, races, religions and help us get to know each other better? Having worked internationally for many years can serve witness how teams that are balanced across these dimensions function well and often are able to come up with superior work. And yes, people sometimes express surprise ('how can you work with people from X'? or 'don't you find people from Y country to be N?" But moving from value judgments to recognizing the value of embracing our differences only comes from experiencing it for one's self. Of course, there have been times when cultural difference have led to misunderstandings, miscommunications and frustrations. In the end, however, by embracing the learning opportunity, we have more often been able to overcome those differences, worked through them and achieved greater understanding. And the common ground is what I keep coming back to. 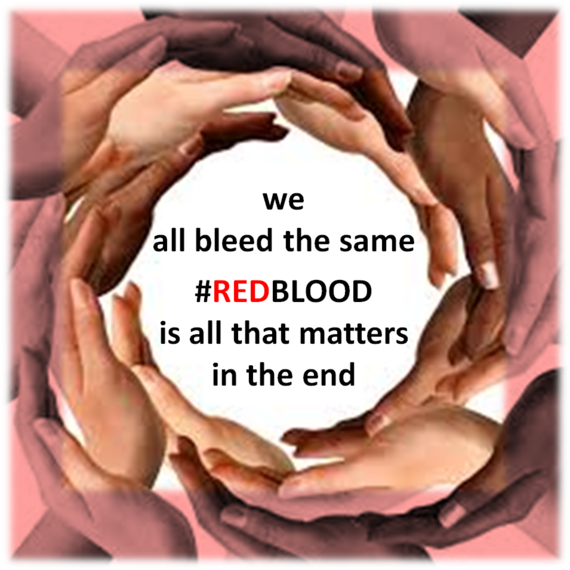 Whether we wear a uniform or a skin color, or a certain style of clothing, etc., we all bleed red. We're all human. And if we get to know each other, perhaps it will help stem the violence. That may be naive, but I I continue to search for answers. Because things cannot continue this way. I recognize that this is a sensitive topic, and I am sure I will look back on this and wish I had thought of better words to express my thoughts and feelings.